First Listen: Jenny And Johnny, 'I'm Having Fun Now' On their new collaborative project, Johnathan Rice and Rilo Kiley's Jenny Lewis sing with the confidence of a more seasoned songwriting team, trading verses and sharing sweet two-part harmonies in 11 new pop songs. I'm Having Fun Now isn't all joyful, but even the darker lyrics are overshadowed by liveliness. Hear the album in its entirety here until its August 31 release. 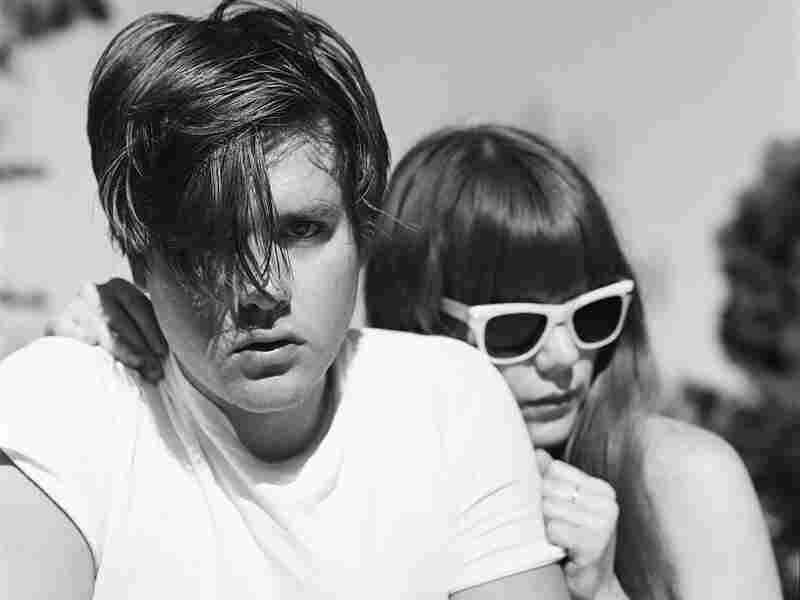 Johnathan Rice and Rilo Kiley's Jenny Lewis have joined forces to create Jenny and Johnny. Rilo Kiley has been on hiatus since 2007's Under the Blacklight, but the productivity of singer Jenny Lewis has kept fans from growing too restless. Still, while Lewis' 2008 solo album Acid Tongue showcases her gift for inventive storytelling, it rarely wanders beyond a familiar palette of acoustic guitars and emotive harmonies. Her new project, however, tends more toward simple, surprisingly sunny pop. Jenny and Johnny is Lewis' new collaboration with boyfriend and fellow musician Johnathan Rice, but it's not the first time the pair has worked together. Rice appeared on and toured in support of both of Lewis' solo albums, Rabbit Fur Coat and Acid Tongue, and he co-produced the latter. Rice has also released two solo records of his own (2005's Trouble Is Real and 2007's Further North), but Jenny and Johnny is the most visible showcase yet for his talents. On I'm Having Fun Now, the duo's chemistry is audible: Lewis and Rice sing with the confidence of a more seasoned songwriting team, as they trade verses and craft beautiful harmonies throughout the album's 11 pop-driven tracks. Not all of these songs are joyful, but even their darker lyrics are overshadowed by liveliness. "Just Like Zeus," for example, features harmonies that beg to be deconstructed in a shameless car-ride sing-along, yet the words are cynical. "Straight Edge of the Blade" could be mistaken for a sweet-natured pop song until Lewis' dry wit comes into play: "It's a real shame that you don't drive / Since you don’t drink, you should be driving me around." I'm Having Fun Now showcases something new from both singer-songwriters. Their smart lyrics, laid out over a solid pop-rock foundation, help make the album a rare find: a sweet pop record that reveals more with every listen. I'm Having Fun Now will stream here in its entirety until its release on August 31. Please leave your thoughts on the album in the comments section below.